Visiting Deosai National Park and Upper Kachura Lake will get you outdoors. Change things up with these side-trips from Skardu: Shigar (Khilingrong Mosque & Amburiq Mosque). There's much more to do: contemplate the waterfront views at Satpara Lake, explore the fascinating landscape at Katpana Desert (Cold Desert), see the interesting displays at K2 Museum, and take in the dramatic scenery at Manthokha Waterfall. To find reviews, more things to do, photos, and other tourist information, read Skardu trip itinerary planning tool . Karachi to Skardu is an approximately 6.5-hour flight. You can also drive. Finish your sightseeing early on the 11th (Tue) so you can drive to Astore. Astore, also spelt Astor, is a city and the capital of Astore District in the Gilgit-Baltistan region of northern Pakistan. 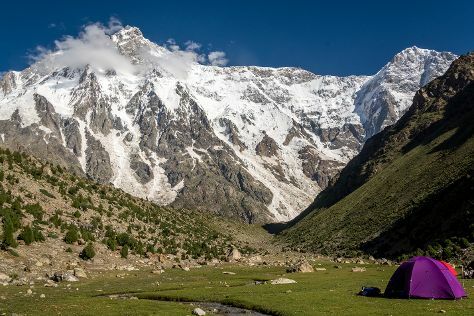 Get outdoors at Nanga Parbat and Karakoram Mountains. Change things up with a short trip to Rainbow Lake in Domel (about 1h 20 min away). Next up on the itinerary: contemplate the waterfront views at Rama Lake and make a trip to Indus-Gilgit Confluence. For where to stay, more things to do, ratings, and other tourist information, read our Astore trip planning app . You can drive from Skardu to Astore in 3 hours. On the 15th (Sat), you'll travel to Hunza. 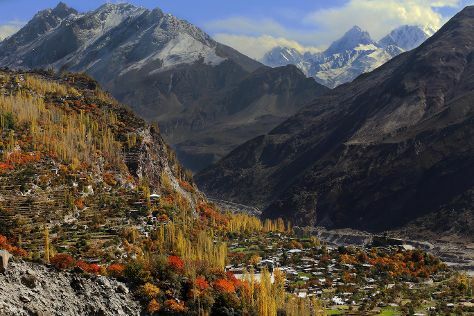 Step out of the city life by going to Hunza Valley and Eagles Nest. Explore Hunza's surroundings by going to Rakaposhi View Point (in Ghulmet), Karakoram Highway (in Gilgit) and Passu Glacier (in Pasu). The adventure continues: go for a walk through Attabad lake, explore the striking landscape at Passu Glacier, contemplate the waterfront views at Borith Lake, and explore the historical opulence of Baltit Fort. For reviews, maps, traveler tips, and other tourist information, refer to the Hunza itinerary planning tool . You can drive from Astore to Hunza in 4 hours. June in Hunza sees daily highs of 24°C and lows of 15°C at night. Wrap up your sightseeing by early afternoon on the 21st (Fri) to allow time for travel back home.